In the heart of town the enticing aroma of freshly baked goods fills the air of the nearby bakery. 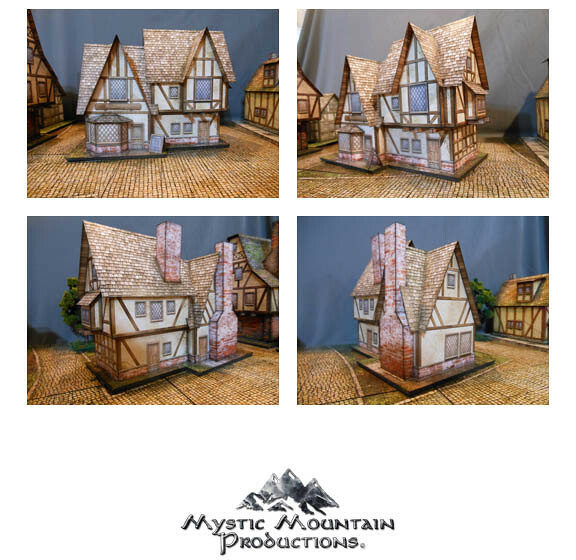 This kit is virtually 2 models in 1 featuring traditional high peaked roofs, a bay window, wall dormers, 2 chimneys and a separate bakery sign prop listed with the day’s “Specials”. Every nook and cranny offers unique detail to the model, down to the spilled flour just outside the back door of the bakery. 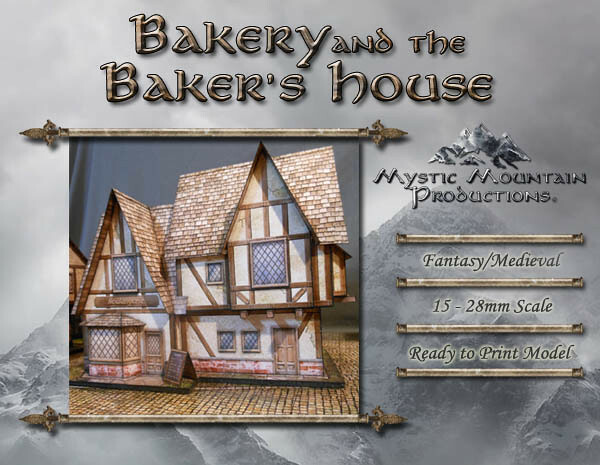 The model is scaled at the standard 28mm for tabletop gaming, however a scalable printing chart is available in the Detailed Instructions Guide. This is a ready to print model and is compatible with Adobe Acrobat Reader 7.0 or later.